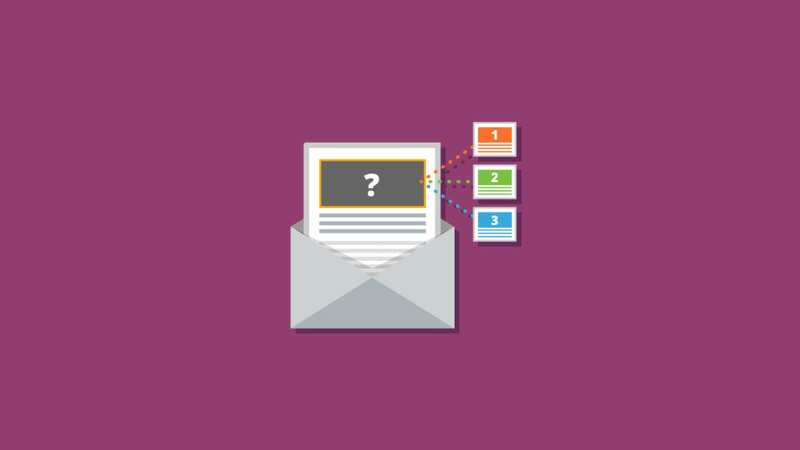 Relevant emails drive 18x more revenue than broadcast emails. Whether you realize it or not, you have captured a lot of information about your subscribers such as age, job title, gender, past purchases, etc. Instead of letting this data waste away in your database, use it to create more personalized (read: relevant) mailings with dynamic content! Before we dig into ways you can use dynamic content, let’s address the difference between list segmentation and dynamic content. You can segment your list based on reader characteristics 100x over, but when it comes to campaign deployment, you then have to manually create and deploy multiple creatives/campaigns based on each segmented list. With dynamic content, you can send one campaign, one time that is optimized and targeted to every single user by leveraging subscriber data and behavior. 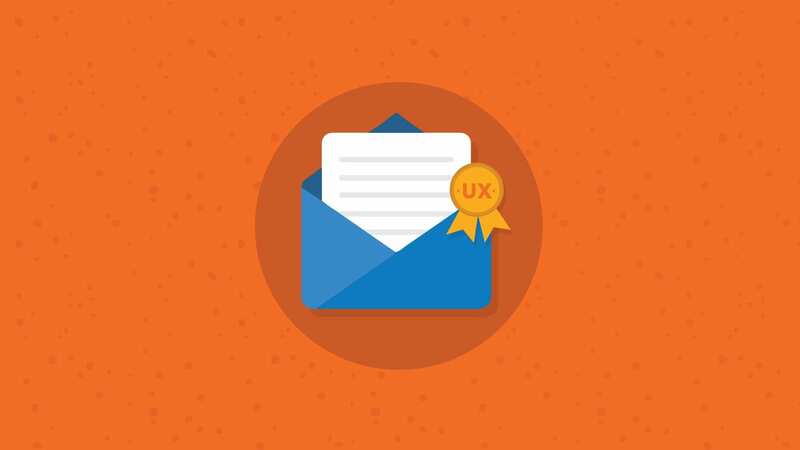 In case you missed it, we rounded up the best dynamic tools for email if you’re in the market. 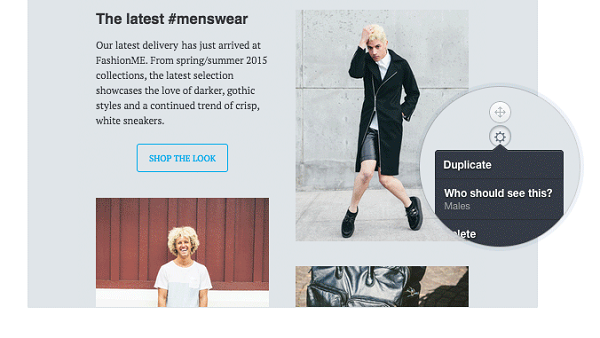 82% of consumers admitted they would buy more items via emails that had better personalization (Harris Poll and Listrak Survey), so let’s check out 10 fantastic examples of dynamic content in email. Where someone is in the sales funnel is critical in determining how you communicate with them. Your message will vary drastically if you are talking to a customer vs. someone who simply downloaded a freebie. The screenshots below show an email audience that was split into three categories: Vendor, VIP or Does Not Match. 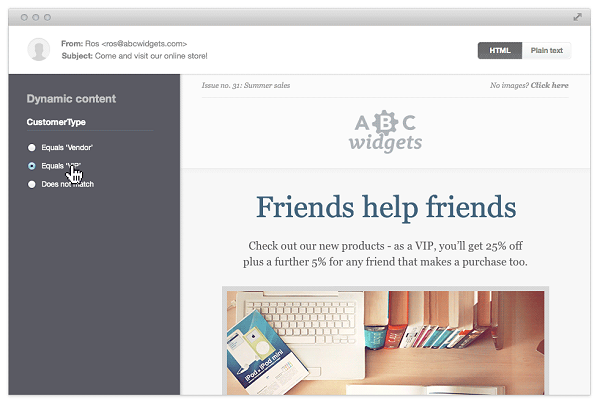 The content and offer are tailored for each audience: The VIP audience gets a very relaxed pitch asking them to help a friend out, whereas the non-member group receives a promotional email. Know what investment your reader has made in your company before you get super chummy, or else you could send them running for the hills. One word: Amazon. Amazon does a bang up job of tracking your past purchases, then offering follow up emails with their, “You bought this, so you might like this” upsell. This past-purchase email method leads to more purchases, and a greater lifetime value. 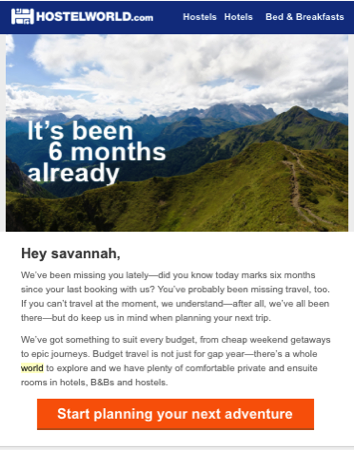 The email below from HostelWorld leverages dynamic content in the hero image to call out the last time the reader used their services. Along with using her first name, this personal touch will perhaps spur her into planning her next adventure. Targeting readers based on subscriber activity is similar to using data from past purchases, but this tactic is based on pre-purchase behavior, as opposed to post purchase behavior. 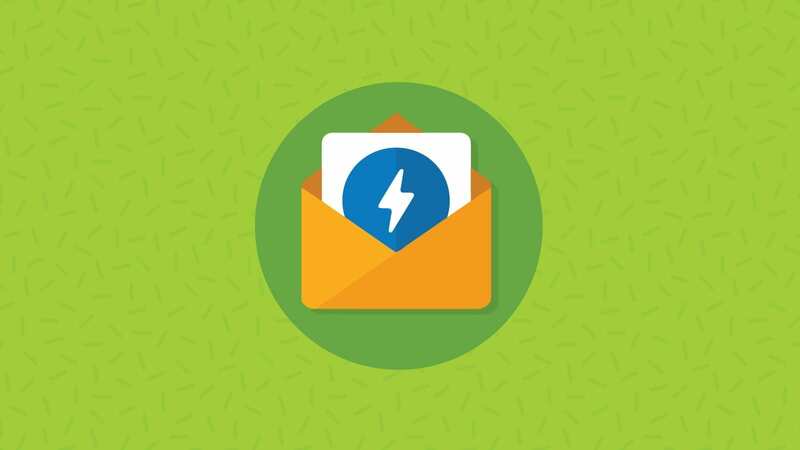 To successfully track subscriber behavior on your site, you should install a tracking pixel on your site that is generated by your ESP or marketing automation software. Then you can track digital behavior to uncover things like which pages they visited, how long they stayed on your website and how you obtained their email address. Spotify does a great job of incorporating digital behavior below. 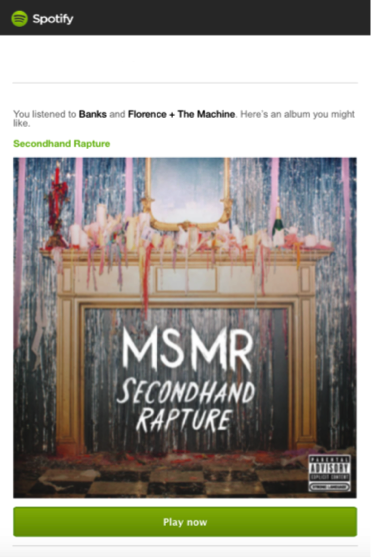 The email mentions the music Savannah listened to, and then bases new music recommendations off of her past jams. I don’t know about you, but I love bragging about a new artist/song I found to friends and family and an email like this would set me up perfectly for just that. While one’s gender may not affect certain offers/promotions, this info will certainly come in handy for retailers. In the example below, the same template is used for the mailing, but the images, text and everything in between is customized by gender. Simply knowing the age of your audience members could take your email conversions to the next level. 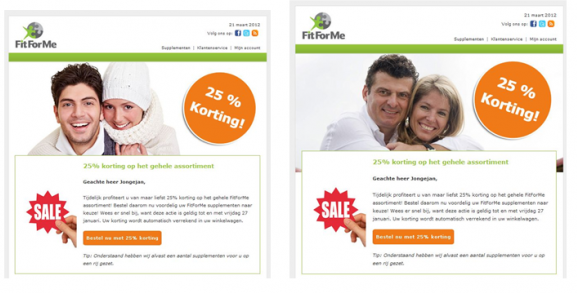 In the example below, Fit for Me offered a promotion and knew their audience varied in age. Instead of creating separate campaigns for each age group (this is what you would do if you only have list segmentation capabilities), they dynamically switched out the image, but kept everything else the same. With the power of dynamic software, it’s possible to make a simple switcheroo like this to ensure your email visuals resonate with the different age groups that make up your list. Everyone likes free stuff. Especially free ice cream! 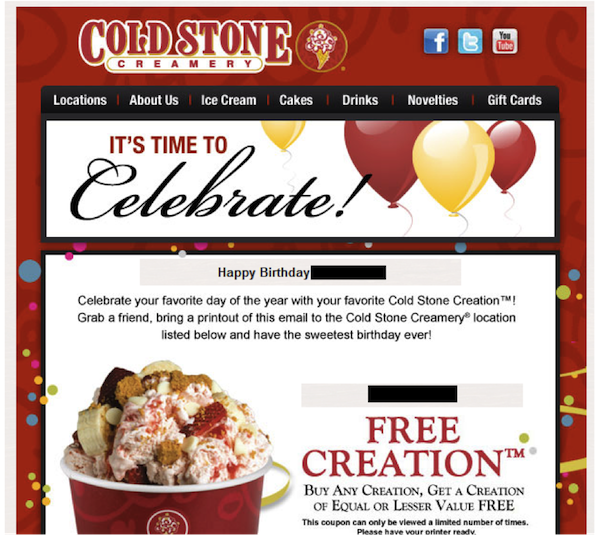 Cold Stone celebrates individual subscribers—and builds brand loyalty—when it leverages the dynamic capability to send out an email with a buy one, get one free offer on each reader’s birthday. Whether you offer email testing (like us) or ice cream like Cold Stone, you should capture DOB in your database to send your readers a message on their special day to let them know you care. Capturing your subscriber’s geographic location is as easy as asking for their zip code when they opt in. 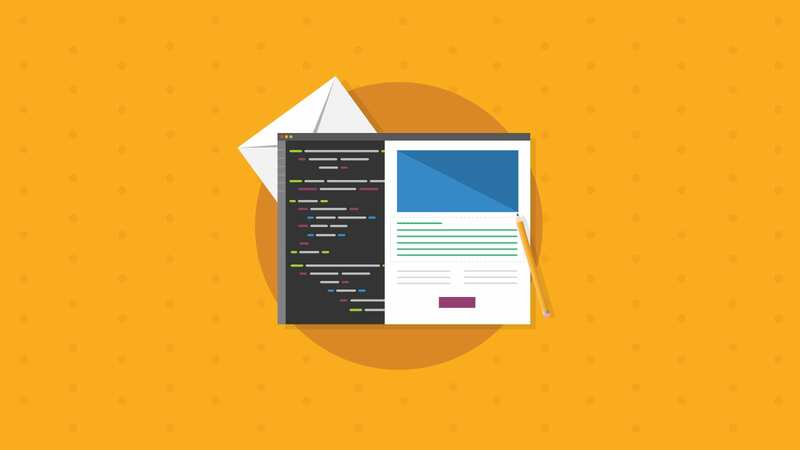 By knowing where your contacts live you can localize subject lines, deploy emails based on their time zones and only send location-specific emails to those readers. 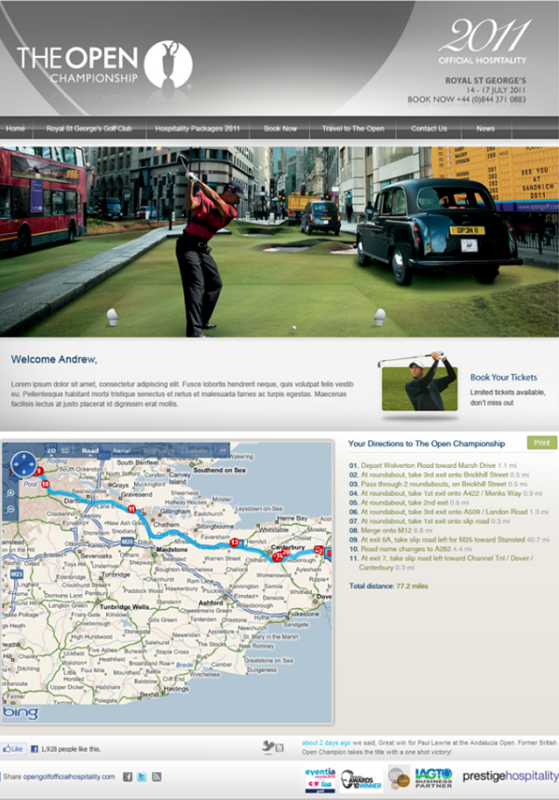 S-Digital took geolocation to the next level with dynamic maps in their campaign for the Open Golf Championship. The example below uses geolocation and routing services to create dedicated travel directions (to the Championships) for each and every recipient of the campaign! As a result of the campaign, the online traffic increased by 250% with over 500 leads! Weather can affect your mood, activities and the clothes you’re wearing, so it’s not that crazy to assume that it can affect your purchasing behaviors, too! 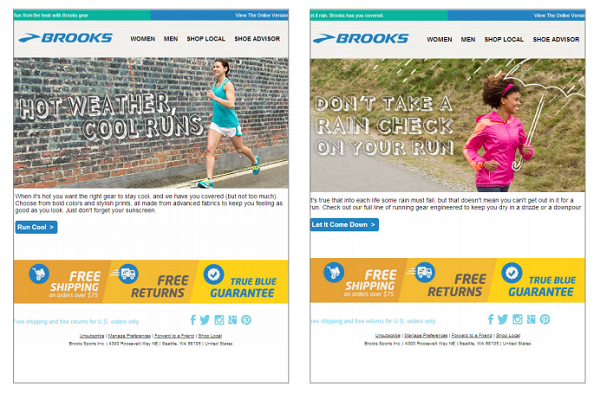 Brooks, an athletic shoe company, made fantastic use of weather specific emails with automation software that dynamically serves different content based on each visitor’s weather condition. As you can see, two different creatives were displayed based on weather condition and temperature range. What better time to showcase your new snow boots or offer a 20% discount off a super duty shovel than when the snow is piling up outside your reader’s window? Cart abandonment emails have achieved a 28% conversion rate, so it’s in your best interest to have the proper web tracking in place to follow up using dynamic and automated content once your visitors head for the door. 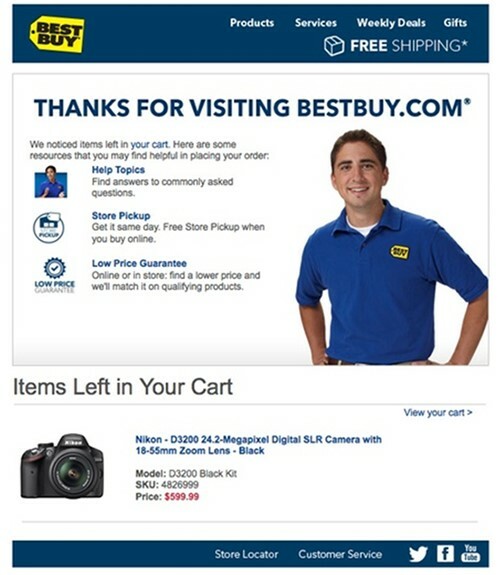 In BestBuy’s email below, they not only follow up offering assistance (which gives it a human touch), but they also specifically reference the item the reader abandoned in the cart. 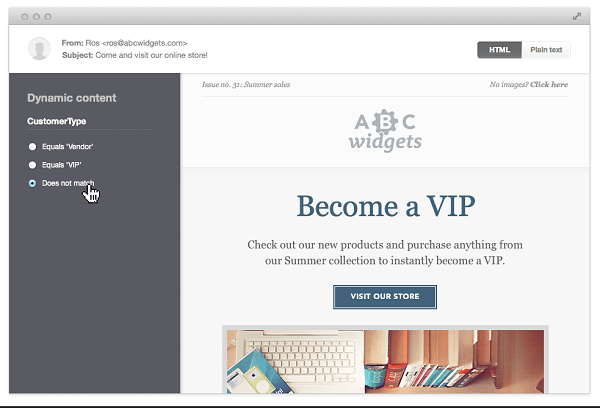 By tracking digital behavior, it’s much easier to reel shoppers back in when the cart abandonment email is dangling that shiny object in their inbox. 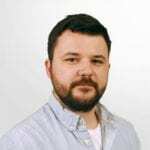 This last item is less about data you are gathering about subscribers and more about creating a sense of urgency, which has been shown to increase sales by 332%, according to ConversionXL. Countdown timers can be an uber effective way to incentivize your readers if you have a big, blow-out sale or early bird discount. Based on when the email is opened, the dynamic software will trigger the countdown based on the allotted time left. Selfridges&Co. 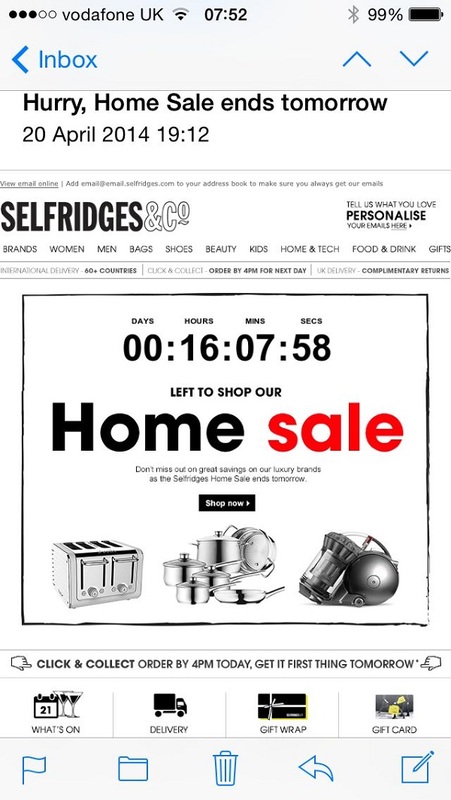 made great use of this tactic by literally counting down, to the second, how long their reader had to save big on their home sale. Brilliant. Remember, though, everything in moderation! Giving away a whitepaper doesn’t warrant a countdown timer (obviously). We want our readers to feel a sense of urgency, not be crippled by anxiety. We want to know how you improve your bottom line by using dynamic software, so be sure to share in the comments below.